Form submission emails have a large amount of empty gray space above and below the submission box/panel, how do I remove all of this gray space? On our Quote Form - New jotform. Whenever there is a submission with that form we get an email with the results. The emails are coming in with a bunch of empty gray space above and below the form results box. This is causing errors when we try and print the submission emails. It's making the printouts into 3 pages instead of one. I looked at the email settings for this form and compared it to a form where the gray space doesnt show up, and the settings are all set the exact same. 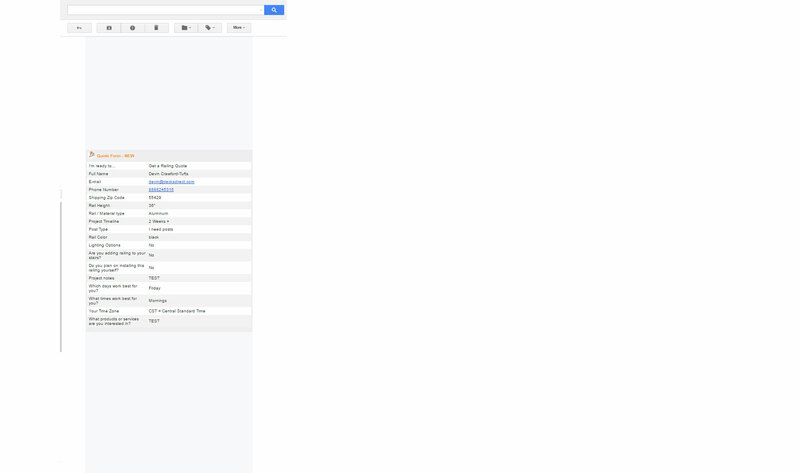 I have cloned the form to my account and see that the email is having empty space above and below the email content. It seems that there is an issue with the email notification itself. I have tried creating a new notification to the form and see that the content is displaying normally. Could you try creating a new notification in your form? You may delete the existing notification once you have the notification working fine.